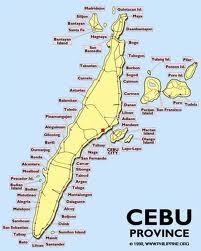 Cebuanos will enjoy additional one day Holiday on Tuesday August 6, 2013 as a celebration of 442nd Cebu Province Foundation Day. Those who will work on that day will enjoy a 30 percent premium over their rates for that day. The declaration was made in accordance to Republic Act (RA) 8952, which stipulates that as Cebu celebrates its founding anniversary, the holiday is to be enjoyed all over Cebu, including Cebu City and the five other cities. A resolution approved in 1993 by the Provincial Board (PB) stated that Spain's King Philip II, in a royal cedula, appointed Miguel Lopez de Legaspi as governor of Cebu on August 6, 1569. "The appointment of Legaspi as governor and captain general, with definition of his duties and powers, as well as the existence of a de facto or emerging province could well mark the foundation, although loosely, of a province of Cebu," the resolution said. There had been a dispute over whether Cebu City, as a highly urbanized city, is covered by RA 7698, which declares a special non-working public holiday in the province every August 6. But RA 8952, as proposed by Representative Eduardo Gullas, amended RA 7698 to include Cebu city in the declaration. It also lists Mandaue, an independent city, and Lapu-Lapu, Danao and Toledo, as component cities. Then Cebu governor Pablo Garcia, father of incumbent Governor Gwendolyn Garcia, earlier said this should put to rest all arguments.